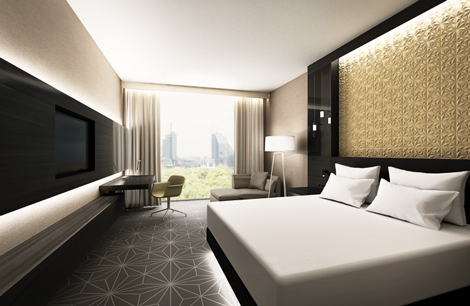 Hilton has opened its first property in Estonia, with the unveiling of the Hilton Tallinn Park. The 202-room hotel is located next to Politsei Park, around a mile from the capital city’s Old Town. Features include 27 suites (some with private sauna), The Able Butcher steakhouse restaurant, lobby café and bar Linnutee, a 1,600 sqm casino, and an Eforea spa with indoor pool, sauna, steam room, whirlpool and relaxation area. For events there are ten meeting rooms, as well as the Grand Ballroom. 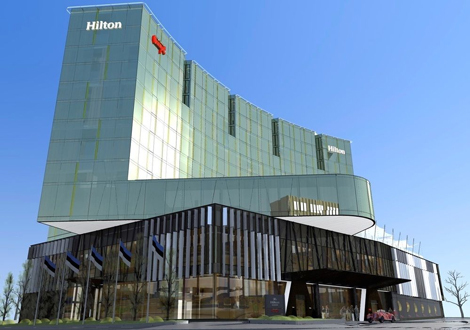 Hilton Worldwide has so far opened seven properties under its flagship Hilton Hotels and Resorts brand this year: Hilton West Palm Beach, Hilton N’DJamena (Chad), Hilton Dali Resort and Spa (China), Hilton Haikou (China), Hilton Yantai Golden Coast (China), Hilton Tallinn Park, and Hilton Cleaveland Downtown.